Book: Storey's Guide to Raising Ducks, 2nd Edition by Dave Holderread - Excellent! 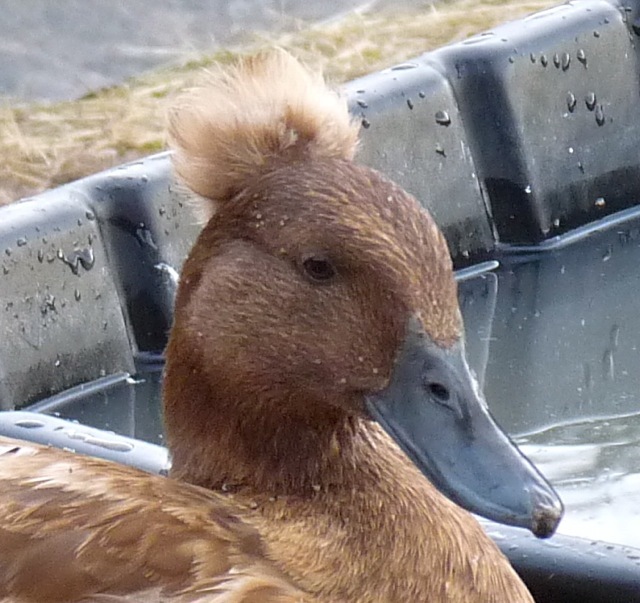 We purchased a group of ducklings in the Fall of 2010 to keep Moe, a rescued duck, company (she needed some peeps her own size). And omigoodness, ducks are such FUN! 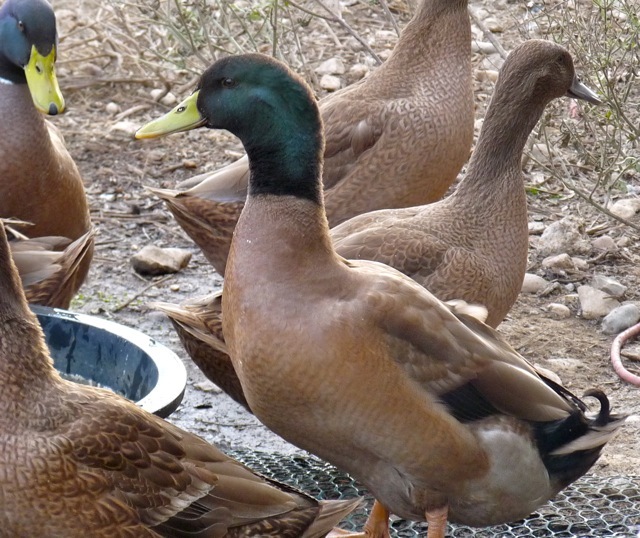 Her Royal Subjects: all Khaki Campbells, raised from day-old ducklings. One of them is vision-impaired, but she successfully navigates the property just fine. They are so much fun to watch, but fair warning if their cuteness tempts you: they are very, VERY messy birds. They keep themselves quite clean, but any water around will be soiled by either dirt or poo very quickly. Grassy areas will be turned into mudpits before you can blink your eyes. Not recommended for white-glove control freaks. You have been warned.